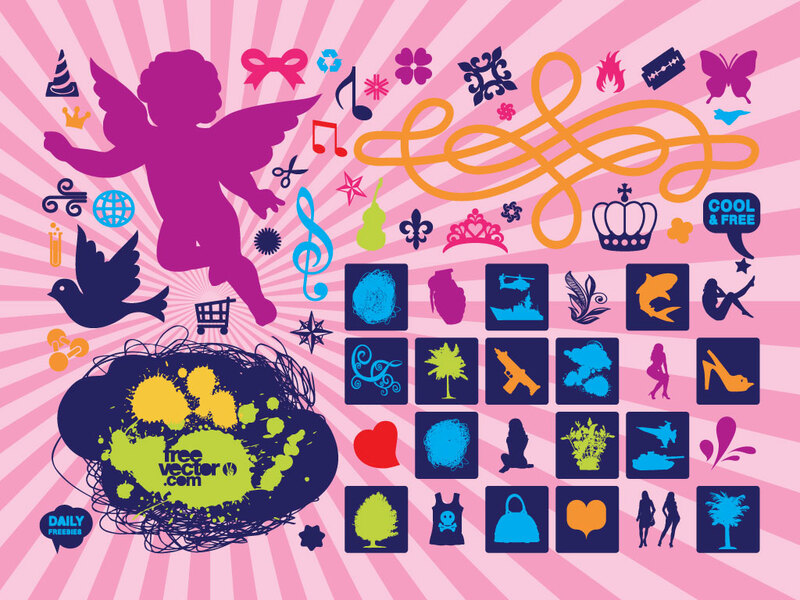 Download this colorful clip art bundle for all your different design needs. The wide range of vectors in this pack make it a must have for you collection. Tags: Buttons, Clip Art, Icons, Logos, Silhouettes, Symbols, Vector Pack.